My Grandad was a conductor!!! Worked at the Cowley bus garage. 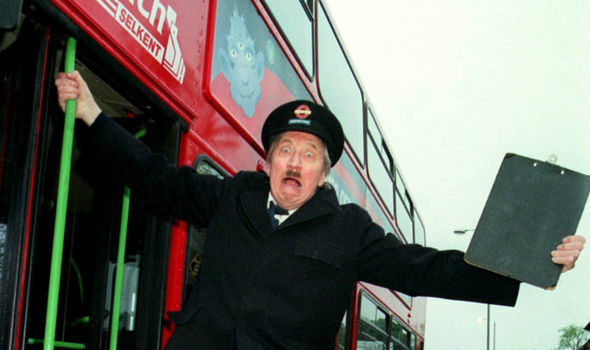 I mentioned Blakey earlier in the thread but have since realised he was a bus inspector. can Heston name more than five opera singers off the top of his head? if you know those names there's no way you don't know Maria Callas. What about the blind dude? Bocelli? There's also Bryn Terfel, Renee Fleming, Renata Tebaldi, the list goes on for ages. To get back to Hoy's original post - Mick Jones has not only a very distinctive voice, but also, as Silent Majority once very eloquently pointed out, a very welcoming voice. And I love that, Murph. And I love that quality. So MJ's a weedy, white, Brit version of Otis Redding. I'll take it. I heard two Bon Jovi songs on the radio today, Always and Wanted: Dead Or Alive. I have to say, Jon Bon Jovi's voice physically disgusts me. I heard two Bon Jovi songs on the radio today, Always and Wanted: Dead Or Alive. I have to say, Bon Jovi disgusts me. I agree with both of you! !